EXCLUSIVE! 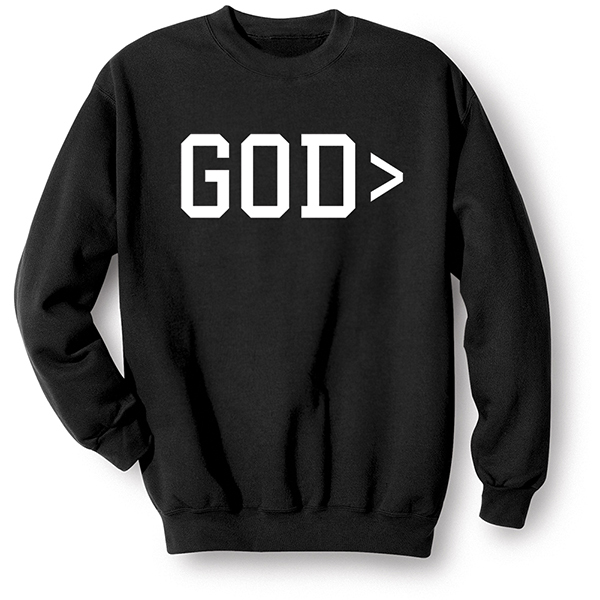 God + the mathematical symbol for "greater than" = a simple yet powerful statement of faith. Black sweatshirt is 50/50 cotton blend. Sizes S-3XL. Imported.